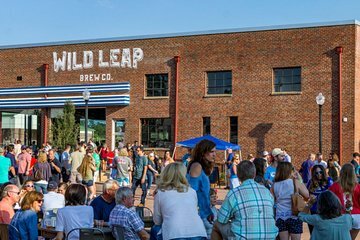 Known for its IPAs and refreshing fruit beers, Wild Leap Brew Co is one of the most esteemed craft breweries in Georgia—and on this behind-the-scenes tour, you’ll get a rare perspective on how its beer gets made. Travel beyond Atlanta city limits to LaGrange (several tour times are available for your convenience) and meet your guide. You’ll see the production facilities, taste four of Wild Leap’s brews, and will walk away with a souvenir tasting glass.